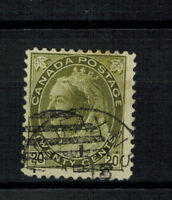 CANADA SCOTT 302 USED WITH LIGHT CDS CANCEL. CANADA SCOTT 46 USED KINGSTON ROLLER CANCEL. CANADA SCOTT 83 USED WITH A ROLLER CANCEL.